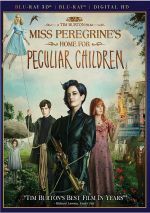 When Jake discovers clues to a mystery that stretches across time, he finds Miss Peregrine's Home for Peculiar Children. But the danger deepens after he gets to know the residents and learns about their special powers. Based on a novel by Ransom Riggs, 2016’s Miss Peregrine’s Home for Peculiar Children offers Tim Burton’s newest fantasy adaptation. For years, Abe Portman (Terence Stamp) regaled his grandson Jake (Asa Butterfield) with tales of how he spent his childhood in battles with monsters at a Welsh location called “Miss Peregrine’s Home for Peculiar Children”. Of course, Jake believes none of this until his dying grandfather beseeches the 16-year-old to investigate the location. 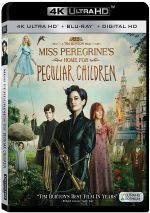 When Jake arrives in Wales, magical forces emerge that reveal the estate does exist, and Miss Peregrine (Eva Green) still takes in youngsters with exceptional abilities. This occurs though Miss Peregrine and the others remain stuck in a “time loop” that forces them to repeat the same day in 1943 over and over again. Jake gets to know the headmistress and the other children. He also learns of an imminent danger – and how his own heretofore dormant “peculiar ability” can help fight this threat. Back when this site started in the late 1990s, I remained firmly in the tank for Tim Burton. 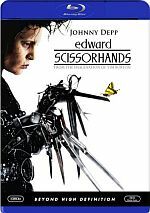 With films like Pee-Wee’s Big Adventure, Batman and Edward Scissorhands, I felt Burton could do no wrong. As Burton’s career hurdled into the 21st century, though, he became less consistent. Sure, he still delivered the occasional winner – like 2004’s engaging and emotional Big Fish - but those hits popped up much less frequently than I’d like. Instead, Burton largely veered toward dull self-parody. Efforts such as Charlie and the Chocolate Factory and Dark Shadows came with all the usual Burton-esque trappings but they failed to deliver the charm and cleverness of the filmmaker’s earlier work. This trend continues with Home. Slow and without real magic, the movie comes across as another Burton tale that fails to present a vivid fantasy. It probably doesn’t help that the inherent story of Home comes with so many obvious influences. It doesn’t take much to draw comparisons between Miss Peregrine and Professor Xavier of the X-Men franchise. Do the “Peculiar Children” differ much from the mutants of X-Men? Not really. Their powers seem less obviously conducive to superheroics, but the parallels clearly exist. The plot of Home “borrows” parts of Groundhog Day, and Burton self-plagiarizes at times. He throws out more than a few moments that call back to Edward Scissorhands, and those create a distraction. Even without these influences/allusions, Home just doesn’t evolve in a satisfying manner. While I understand the need for exposition and set-up, the movie’s first half really dawdles. This means it seems to take forever simply to get Jake to Wales, much less to develop Miss Peregrine and the Peculiars. More disappointing, the unusual characters never manage to seem especially interesting. Miss Peregrine herself feels like a steampunk Mary Poppins, and Jake creates an underwhelming lead. The children at the Home boast the potential to become intriguing but they remain one-dimensional and forgettable. Whereas Burton used to thrive on a sense of creative whimsy, he now appears unable to restore that luster. Even in much-maligned efforts like Mars Attacks, Burton came up with crazy notions that came out of left field and offered delight. The same doesn’t occur during Home. Every time the movie threatens to display actual charm, it returns to its plodding ways. The narrative fails to involve, and Burton never generates any magic. Like many 21st century Burton flicks, Home doesn’t ever become a truly bad film, as it displays enough competence to avoid the “stinker” classification. Nonetheless, the movie lacks the necessary qualities to generate viewer involvement. It becomes a somewhat spiritless fantasy. 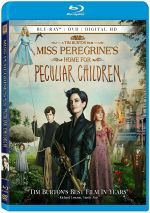 Miss Peregrine’s Home for Peculiar Children appears in an aspect ratio of approximately 1.85:1 on this Blu-ray Disc. This became a consistently strong presentation. Sharpness remained positive. Virtually no notable softness emerged, so this became a concise, well-defined image. The film lacked jaggies or shimmering, and I also saw no edge haloes or print flaws. In terms of colors, teal heavily dominated Home. Occasional glimpses of other tones emerged as well, but this blue tint carried the day. The tones seemed well-rendered, and blacks came across as deep and firm. Add to that smooth shadows and this turned into a high-quality transfer. In terms of the film’s DTS-HD MA 7.1 soundtrack, it opened up matters pretty well. Much of the movie stayed with general atmosphere, but these elements still worked nicely. Even in “quieter” sequences – like those on the beach in Wales – we got a nice feel for the environments. Expect a lot of directional movement, and the action picked up as the movie progressed. The climax added a lot of excitement and created a lively soundscape. Music showed nice delineation, and effects continued to display appropriate placement and movement, even during the more gentle pieces. Much of the film lacked a lot of ambition, but the soundscape suited the story and became more immersive when appropriate. Audio quality appeared good. Speech remained distinctive and concise, and music sounded robust and full. Effects demonstrated nice clarity and showed solid oomph when necessary. I felt pleased with this strong soundtrack. Most of the set’s extras revolve around featurettes, and we open with The Peculiar Story. It goes for 12 minutes, 51 seconds and offers comments from author Ransom Riggs, director Tim Burton, executive producers Nigel Gostelow and Derek Frey, producer Jenno Topping, screenwriter Jane Goldman, key makeup/hair designer Paul Gooch, costume designer Colleen Atwood, composers Matthew Margeson and Mike Higham, and actors Ella Purnell, Samuel L. Jackson, Asa Butterfield and Eva Green. We learn of the novel’s origins and adaptation as well as narrative/character areas, music and makeup/costumes. Though a little fluffy at times, “Story” offers a fairly succinct examination of the source and its transfer to the screen. We take a look at the characters via The Peculiars. This one-hour, four-minute, 54-second collection offers notes from Burton, Frey, Margeson, Higham, Butterfield, Topping, Green, Purnell, Riggs, Atwood, Gooch, still photographer Leah Gallo, casting director Susie Figgis, stunt coordinator Rowley Irlam, co-SFX supervisor Hayley Williams, movement coach Francesca Jaynes, SFX makeup designer David White, VFX supervisor Frazer Churchill, and actors Terence Stamp, Cameron King, Finlay MacMillan, Lauren McCrostie, Pixie Davies, Raffiella Chapman, Georgia Pemberton, Hayden Keeler-Stone, Judi Dench, Milo Parker, and Thomas and Joseph Odwell. Going into “Peculiars”, I feared it’d offer nothing more than banal character comments and praise for the actors. Instead, it gives us a solid look at all the elements related to the various roles: performances, visual effects, makeup, costumes, musical themes and the like. The participants fill out matters in a compelling manner. Hollows and Ex-Hollows lasts nine minutes, 24 seconds and features Riggs, Jackson, Burton, Margeson, Higham, White, Purnell, Butterfield, Churchill, and actors Allison Janney, Rupert Everett, Helen Day, Philip Philmar, Jack Brady, and Scott Handy. This piece works the same as “Peculiars” except it concentrates on the movie’s villains. It becomes another good overview. Next comes Map of Days. It fills 17 minutes, 40 seconds with Butterfield, Goldman, Green, Burton, Churchill, Riggs, Frey, Jackson, Riggs, Day, Irlam, Williams, production designer Gavin Bocquet, supervising location manager David Pinnington, and executive producer Nigel Gostelow. “Map” looks at locations, sets, production design, ad props/period details. Essentially another piece in the mode of the last two featurettes, “Map” offers an efficient and informative reel. We also find a music video for “Wish That You Were Here” from Florence + The Machine. This mainly consists of movie clips and becomes a dull video for a less than enthralling song. It also runs barely two minutes and doesn’t include the complete tune. In addition to two trailers, we finish with a Gallery. It breaks info “Photographs” (27 images) and “Sketches by Tim Burton” (27). Both seem worthwhile, though I especially like the way “Photographs” compares the pictures that inspired the novel with the movie’s characters. With every new Tim Burton movie, I hope he’ll recapture his prior greatness. Alas, Miss Peregrine’s Home for Peculiar Children offers another disappointment, as the movie never becomes anything especially involving or entertaining. 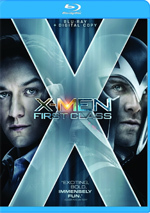 The Blu-ray boasts excellent picture with mostly good audio as well as a reasonably informative set of supplements. Home delivers a mediocre fantasy film.